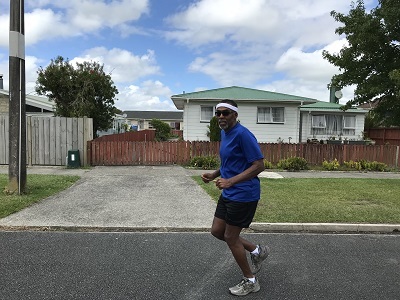 Some time ago I posted a blog on the challenges I faced when I first arrived here in New Zealand and started jogging. For those of you who missed that post or need a refresher you can find it here, How Rude! Now nearing the end of my stay here, I have noticed a very interesting change from my early experience. In the last month or so, while out jogging, I have noticed drivers waving, even smiling at me as they drive by. Some even wave and smile before I have time to wave or smile first! Most surprising of all, I have noticed that some drivers are giving me the right of way! What a contrast from when I first arrived in January. I started thinking about what might have led to this change of the drivers’ actions toward me? Upon reflection, here’s my assessment. Although at first the drivers appeared “unfriendly” with how they responded to me as a jogger, I never changed my friendly response toward them. I continued to wave and smile every time I was out jogging. Jogging is not a popular thing in this town. I have seen no more than four joggers since arriving in Dargaville. My waving and smiling was not dependent on whether they responded in kind. I continued to be myself, friendly and kind toward all. Now almost six months later, most of the drivers are responding to me with a wave and smile when they pass me while I am jogging. This experience also reminded me of the times when I have encountered people in other situations and did exactly the opposite. Unfortunately, there have been times when I decided that if others were not nice to me I would not be nice to them. However, that attitude never serves to improve relationships with those around us. The lesson I drew from this experience is simple but powerful; it’s also difficult to do at times. Being friendly and kind to others should never depend on how they treat me or respond to me. You see, when our behavior toward others is determined by their behavior toward us, that means we have given up the power to choose how we should respond. Only one person has the power to choose how you will respond to any circumstance in life: you. This kind of response calls for a great level of self-awareness on our part to ensure we don’t surrender our power of response to others. What about you? Have you surrendered your power to choose your response in a current circumstance in your life, personally or professionally? You may want to revisit the situation and decide to choose the response you want rather than one that someone else chose for you.